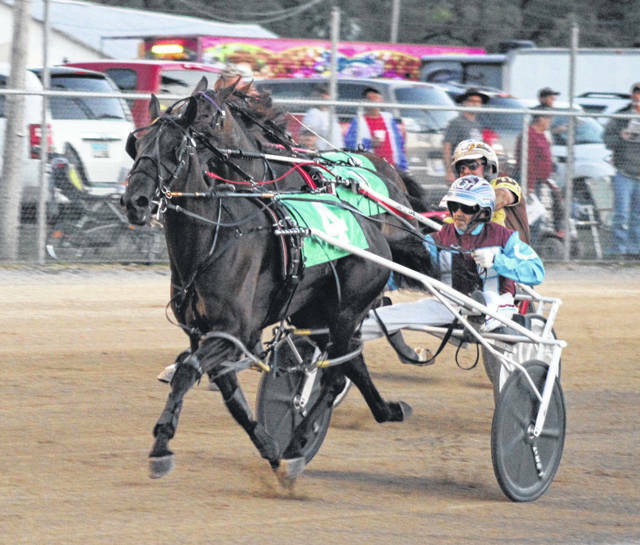 In Race 3 of Wednesday night’s harness racing at the Darke County Fair, Royal Delta, driven and trained by Emily Hay, finished in fourth place in a time of 2 minutes, 1.2 seconds. 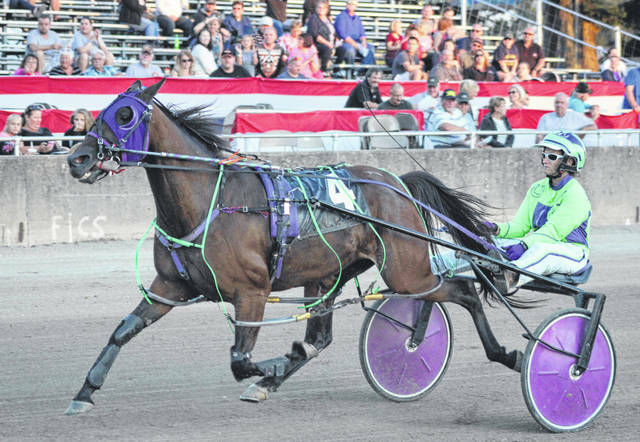 Ohio Prince, driven and trained by Ken Holliday, was the Race 4 winner in Wednesday night’s harness racing at the Darke County Fair. DARKE COUNTY – The fourth session of the 2018 Darke County Fair’s harness racing action was held Wednesday evening, Aug. 22 with 12 races for a combined purse of $36,300. The largest purse of the night was in Race 5 worth $15,800. Three sessions were held on Friday and Saturday with a grand total of 45 races. Those results will appear in The Daily Advocate next week along with the results of the final 15-race session on Thursday night.